Christ's Divine Mercy is the love that He has for mankind, despite our sins that separate us from Him. In the 1930s, Jesus chose a humble Polish nun, St. Maria Faustyna Kowalska, of the Congregation of the Sisters of Our Lady of Mercy to receive private revelations concerning Divine Mercy that were recorded in her diary. Saint Faustyna received a vision of Jesus in which He asked that all sinners pray the chaplet and mediate on His mercy. The feast of the Divine Mercy or Divine Mercy Sunday is a relatively new addition to the Roman Catholic liturgical calendar celebrated on the Sunday after Easter (the Octave of Easter). 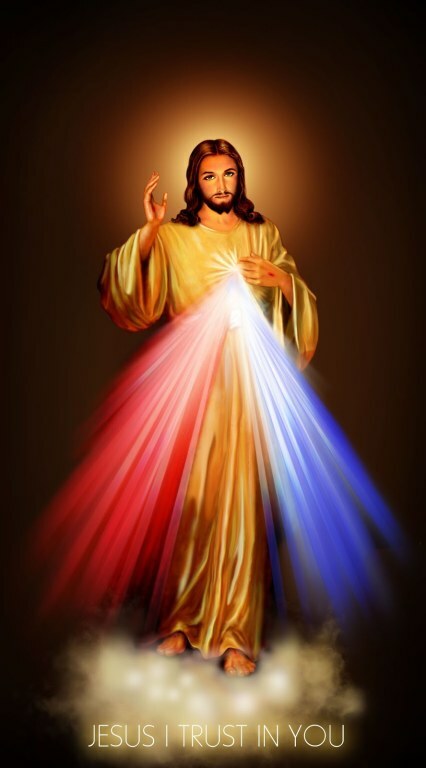 Celebrating the Divine Mercy of Jesus Christ, as revealed by Christ to Saint Faustyna was extended to the entire Catholic Church by Pope John Paul II on April 30, 2000, the day that he canonized Saint Faustyna. The famous Divine Mercy image associated with the chaplet was originally painted by Eugeniusz Kazimirowki with guidance from Sister Faustyna.